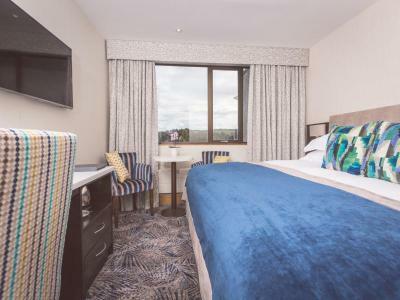 Rooms offer stunning views of Belfast, incorporating the Castlereagh Hills, Stormont Parliament Buildings and the Newtownards Peninsula. 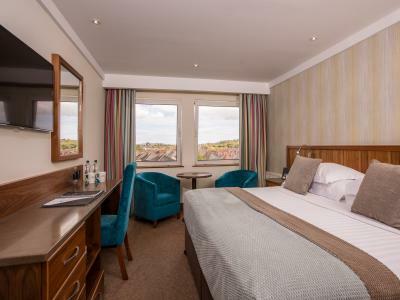 Rooms include king size Zip and link bed, in room safe, plasma tv screens, welcome tray, telephone, voice mail service, I-pod docking station, all rooms offer free WIFI, hairdryer, iron and ironing board. Rooms are 18ft x 12ft approximately. Breakfast is not included unless stated. Please Note: The Stormont Hotel is a NON SMOKING Hotel, this includes all bedrooms. 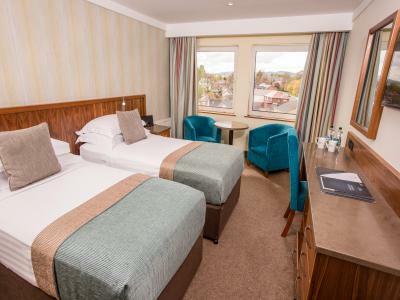 Rooms include 2 single beds, in room safe, plasma tv screens, welcome tray, telephone, voice mail service, I-pod docking station, all rooms offer free WIFI, hairdryer, iron and ironing board. Rooms are 18ft x 12ft approximately. Rooms include king size bed, in room safe, plasma tv screens, welcome tray, telephone, voice mail service, I-pod docking station, all rooms offer free WIFI, hairdryer, iron and ironing board and bathrobes and slippers. Rooms are 23ft x 11ft approximately. Rooms include 2 single beds, in room safe, plasma tv screens, welcome tray, telephone, voice mail service, I-pod docking station, all rooms offer free WIFI, hairdryer, iron and ironing board and bathrobes and slippers. Rooms are 23ft x 11ft approximately. 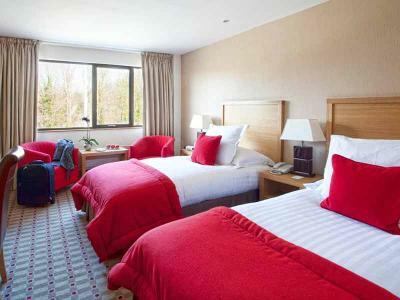 Junior suite offers a super king size bed, separate bath and shower unit and a small living room area with sofas. Some Junior Suites also offer dining table and chairs. 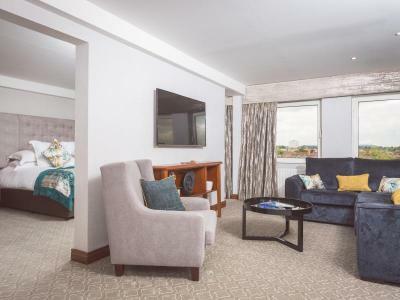 All Suites have bathrobes, slippers and complimentary mineral water, in room safe, plasma TV screens, telephone, voice mail service, I-pod docking station, all rooms offer free WIFI, hairdryer, iron and ironing board and welcome tray. Rooms are 24ft x 24ft approximately.